HISTORY BOX: France invaded Algeria in 1830, brutally suppressing resistance until the entire territory was “pacified” in the 1870s. Hundreds of thousands of European settlers came to live throughout Algeria on lands that had been bought or, more commonly, confiscated from their original inhabitants. Indigenous Algerians were governed by a separate legal code, similar to the Black Codes of the post-Reconstruction American South, that abolished civil rights and authorized collective punishment. In 1954, the National Liberation Front (FLN) rose up against French military occupation in the Algerian War of Independence. The conflict left 350,000 dead on the Algerian side and 100,000 on the French side (most of them harkis, or indigenous Algerians in the French army) and resulted in Algeria’s independence in 1962. In his lifetime, Saadi Yacef has been many things: a freedom fighter; a prisoner; a memoirist; a senator; and a film producer. 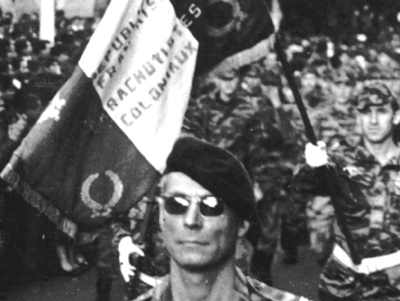 As the military leader of the National Liberation Front in Algiers in the 1950s, Yacef was a key actor in one of the bloodiest decolonization wars of the 20th century. His memoir, written after the Algerian War of Independence, was adapted into the 1966 film The Battle of Algiers, which became a box office sensation and perhaps - aside from Casablanca - the most famous movie set in North Africa. Yacef wrote his memoir – Souvenirs de la Bataille d’Alger (Memories of the Battle of Algiers) – in prison, after his capture by French forces in 1957. The book was published in 1962 and detailed his experiences waging urban guerilla warfare against the French army in Algeria's eight year struggle for independence. Yacef co-produced the movie adaptation and also stepped in front of the camera to play himself (his character bears his nom de guerre, Si Jaffar). 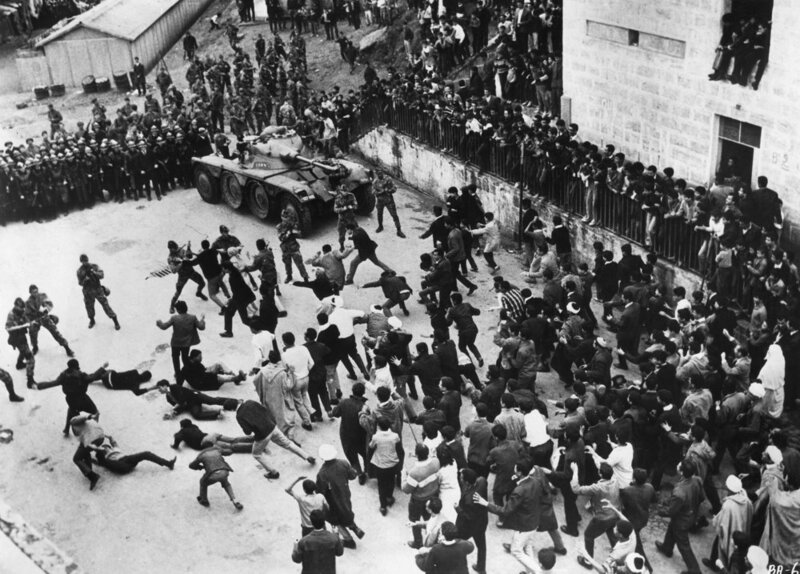 The Battle of Algiers was banned in France until 1971 due to threats from right-wing groups. Today, its legacy is one of critical acclaim (three Oscar nominations, a Golden Lion from Venice and scores of other awards) and continued political relevance. In fact, the film was required watching for the Pentagon as well as the Black Panthers here in America. LSP recently met with Yacef at the Film Forum in New York ahead of the movie's re-release. An enthusiastic talker, he recounted his experience as a writer, producer and actor. While incarcerated at Fresnes prison in France, Yacef held the status of political prisoner, which gave him access to writing materials. The book he produced "is reality," he said. "It’s what I lived through, with not one comma missing.” Upon his release from jail, Yacef was eager to pass on his message through film, “to the young people coming up." He sought a talented non-French European director, eventually landing on Venice Golden Lion winner and former anti-fascist fighter Gillo Pontecorvo. SAADI YACEF IN CONVERSATION WITH LSP'S EMILY LEVER AT FILM FORUM IN NEW YORK. 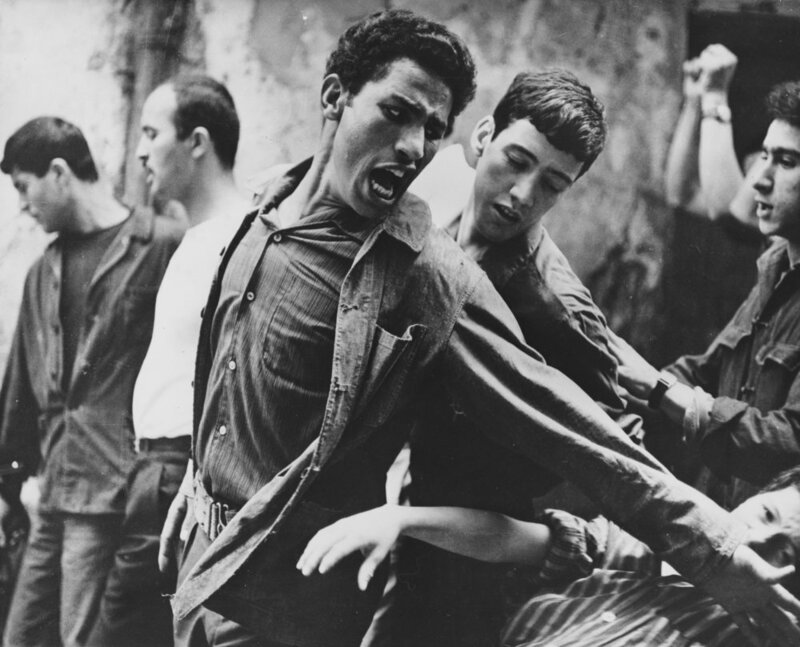 It was in this spirit that he became an on-set advisor to Pontecorvo, enlisting other former fighters as extras because, “they knew how to shoot.” The result gives off such an air of authenticity that the film begins with a disclaimer that it contains not a single image of documentary footage. When asked about the level of violence in the film, his memoir, and in the war both depict, Yacef said that the violence of decolonization was the result of the century-long violence of colonization. “They’re the ones who taught us to make and use bombs; it’s all thanks to them,” he said, noting that the French bombed the Casbah (the Arab section of Algiers) 37 times - “I counted” - before the FLN ever responded in kind. He emphasized that the status quo and reality of colonization is violence, which is vital to understanding the Algerian War of Independence. “I was never a terrorist. I was a fighter,” he said firmly. The war he waged was, “a war of liberation. [France] colonized us for over a century." A video of LSP host Prune Perromat's interview with Saadi Yacef will be posted shortly.